Improve decision making with real-time flows for ingestion and processing. Build and monitor streaming flows over Apache Kafka, with self-service Kubernetes integration. Give your organization the ability to act on real-time ingestion and analysis. The requirements for a modern data platform within an organisation must accommodate both traditional use cases like micro-services, transactions, data integration, as well as modern use cases like high volume data sets (IoT, click streams etc), machine learning and stream processing. Building on top of Apache Kafka has both business and technical challenges. Micro-services bring a whole new paradigm for event driven approaches, and Apache Kafka is ideal for highly scalable architectures. Lenses supports you in this paradigm shift. With 100+ Open Source Kafka connectors available - 30+ enterprise grade connectors out of the box - integrate seamlessly your data systems. Stream Reactor is an Apache License, Version 2.0 open source collection of components built on top of Apache Kafka and provides Kafka Connect compatible connectors to move data between Kafka and popular data stores. Stream Reactor provides source connectors to publish data into Apache Kafka and sink connectors to bring data from Apache Kafka into other systems. Viewing topology is a powerful feature of Lenses and automatically all Connectors and SQL based KStream applications are depicted. Starting with Lenses 2.1, you can now bring your own consumer and producer applications to the topologies. All you have to do is use the Apache 2.0 topology-client that provides a simple builder for topologies, which is then pushed to a Kafka topic to be picked up by Lenses at runtime. In addition, Lenses also supports metrics for Kafka Streams, Akka Streams and Spark Structured Streaming. Lenses integrates with Kubernetes to deploy your data flows. Lenses SQL Engine allows to register SQL processors which are automatically deployed and scaled leveraging your Kubernetes cluster. Learn more about Scaling SQL Processors in Kubernetes Mode. Our platform provides a rich ecosystem to deliver data to other systems and leverages your favourite tools. Lenses integrates with Kafka Connect, to move data around your systems, provides a JDBC driver to integrate with BI tools, Python for data scientists to integrate with favourite notebooks such as Jupyter, Reduxjs library to get real time data straight to your frontend application. Lenses & Lenses SQL Engine supports multiple data types out of the box, while allows you to register custom serializers and deserializers. You can browse, query and register processors for AVRO, JSON, Protobuf, XML, CSV, Array payloads, query plain text with Regex. For AVRO payloads, Lenses integrates with Schema Registry but adds lineage and role based access on top, to meet the demands of a corporate environment. Monitor your apps like a pro! Lenses provides in-app features to monitor you applications and apply alerts to never miss an SLA. Moreover, Lenses ships with rich Kafka specific dashboards in order to monitor your low level metrics. 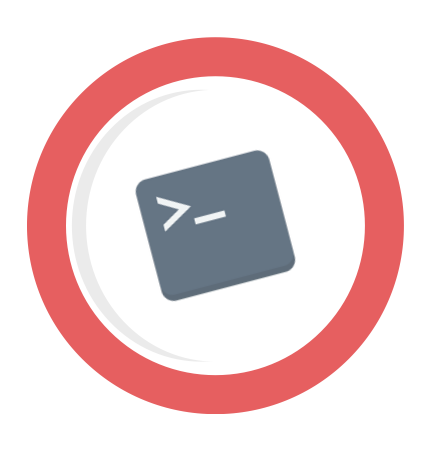 When it comes to CI/CD and automation, GitOps or promoting flows across environments, use the open source Lenses CLI tool to deliver swiftly your apps.